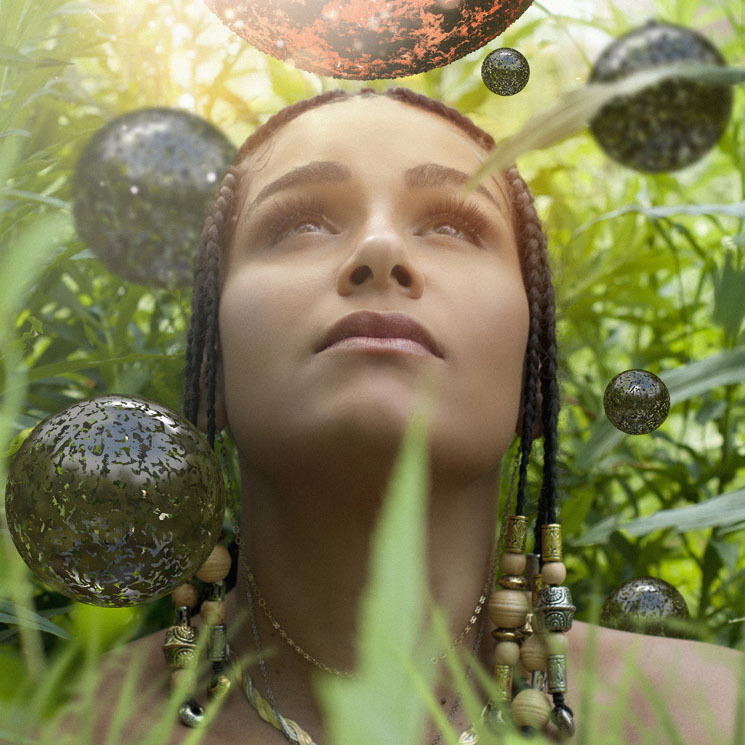 Zaki Ibrahim operates in her own quiet pocket of the universe, and The Secret Life of Planets — her first since 2012's Polaris Prize-nominated Every Opposite — exists in its own orbit. That the record title recalls Stevie Wonder's Journey Through "The Secret Life of Plants" is perhaps intentional; her record mines pop, disco, house and hip-hip elements, and supports an atmosphere of experimental "sci-fi" soul, beholden to emotional intent and aural mysticism. The recent passing of her father, coupled with the birth of her son four months later, made for an emotionally challenging few years for the Nanaimo, BC-born singer-songwriter, which helped determine this "sci-fi soul" direction. This manifests in Ibrahim going full-on explorative, weaving in thoughts of otherworldly and existential phenomena, musing on life, love and the human dynamic. Working with collaborators Alister Johnson and Casey MQ, Ibrahim is mindful of what came before, unearthing and leveraging old-school samples and interpolations for funked-up '80s-sounding cuts such as "Diamond Time" and "Love Made Naked." The simple complexity of "Profantasies" reflects her evolving songwriting skills behind a cool electro groove: "But you pulled me up / Ought to be worth something / Opened up my love." Single "Cold Feet" does feel a tad underpowered, however the celestial strings on the stargazing power pop of "Galileo" sooth, the house vibe of "Do the Thing Right" moves and "Get There" bounces.